A friend of mine got tickets for a meet and greet with his idol, Gwen Stefani. He asked me if I could make a 90’s version of Gwen for the occasion, Chibi style. I wasn’t sure what I was getting myself into, or if I would be able to do it but it never hurts to try. 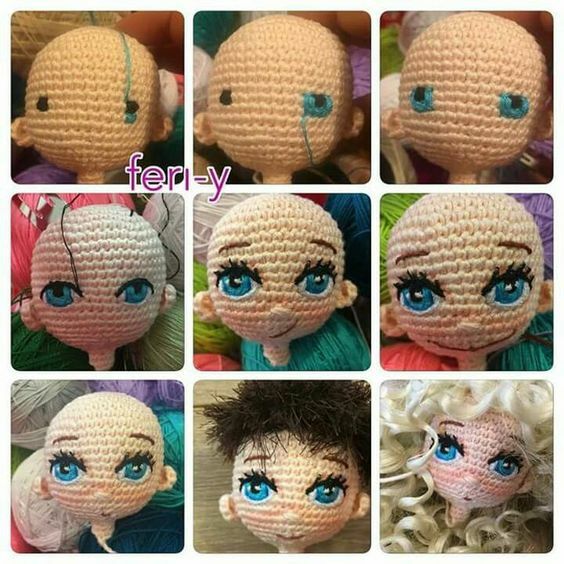 I spent the last three weeks working on this doll, I really took my time. I don’t know if I succeeded but at list I can say that I tried my best. I cannot tell you which part was the most challenging, every step seemed more difficult than the previous! I did look at tons of pictures of Gwen Stefani from the mid-90s, and I opted for the pants, tank top look that was her trademark during the Tragic Kingdom era. I had never made anime eyes before, so this was really an experiment that took several trials and errors before I was happy with the result (I probably lost a few hair over it). I used felt in 3 different colors: black, white, and dark brown. I based the design on a drawing I saw online that looked simple and easy to make. 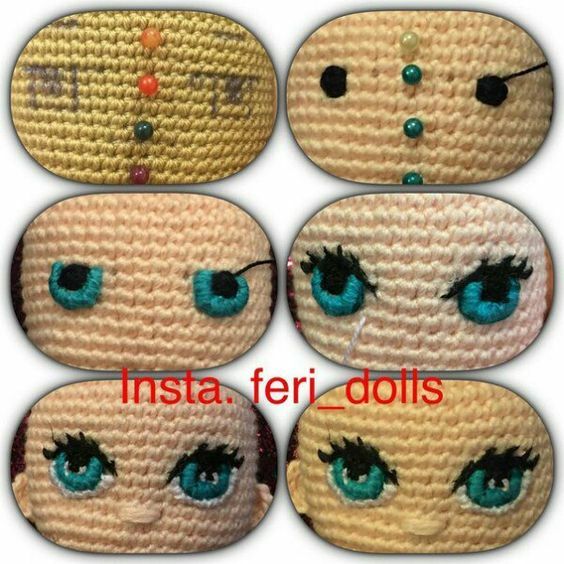 I will get more into it in my next post which will be a tutorial to make anime eyes (I will put the link here once it is posted). Well, now that I am finished with this doll, I can focus on Halloween and spooky fun things. I Just finished a black cat pattern that I will upload on ETSY very soon. I also would like to publish a free pattern for my blog. I am a bit behind, but I will try to catch on!